Many people have been asking me what Jackson, Mississippi (where Audrey Grace will be) is like. I sometimes have a hard time explaining it- it's a small city with a big heart. The kind of place where everybody knows everybody. Jackson is also a very stylish city. The girls I grew up with and their mothers and grandmothers alike, really knew how to dress. Jackson is the subject of a new film that is about to be released, "The Help." If you want to know what it was like to live in Jackson, Mississippi in the early 1960s, I urge you to see this movie. Although I do not reside in Mississippi full time anymore, I take my hometown with me wherever I go. The film, based on the book of the same name, also takes place during the time Audrey Hepburn and Grace Kelly were in their prime! It seems the costumes in the film were greatly inspired by them. 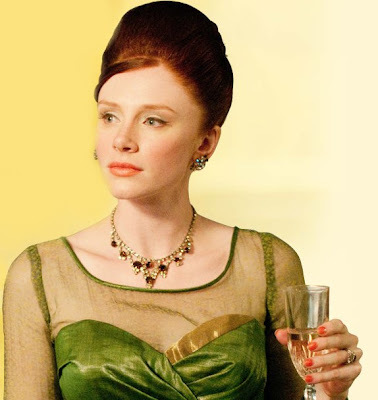 The film stars Emma Stone, Viola Davis, Bryce Dallas Howard and Jessica Chastain. So, it ends up that I got worse yesterday and couldn't make it to the wedding. I was, and still so bummed out about it. I was trying to get ready for the wedding, but the more I tried to do (put on makeup, do my hair) the more lightheaded I got. I stayed in bed while Stephen went. Of course, I grilled him about every little thing about the wedding when he got back. It is so funny that guys, especially when it comes to weddings, aren't detail oriented. I asked him if the bride's hair was up or down, what color were the bridesmaids dresses, and the poor guy couldn't remember. He even talked to the newlyweds three times and couldn't remember if her hair was up or down. Poor guy. I am officially in love with my cowboy boots. 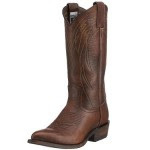 They are the Frye Billy Pull On, and oh so comfortable. With most, if not all shoes, you have to wear them around to break them in. But not these shoes. I wore them for over 4 hours around the apartment, and then 6 hours for the concert and my feet NEVER hurt. Once in a lifetime occurrence. Lately, I have seen friends on Facebook talking about Ideeli. Have you heard of it? Well it is almost the same as Rue La La; sales are open for a certain period of time, and once you pay for shipping you can shop all day. Of course, I am a fan of Rue La La, but one drawback compared to Ideeli is that they only have a handful of sales at a time. I have been impressed with Ideeli and the variety and selection of sales that they have. If you would like an invitation, click here. They are currently having great sales, and sales that are getting ready to open. Go check it out and see what you think! Also, if you have any suggestions or topics of things that you would like to see on my blog let me know! Hope you all continue to have a great weekend! Last night I went to the Rascal Flatts concert, and they were amazing. Some groups or individuals who sing, you can really tell that the radio helps them sound much better. This is not true for Rascal Flatts! They along with Sara Evans and Justin Moore were in attendance. I missed Justin Moore because my group was out tailgating and got in just in time to see Sara Evans. She was amazing as well! About half way through Rascal Flatts, one of my friends got overheated and slightly dehydrated, so we spent the remainder of the night with First Aid. She is okay, but she works outside all day and had not had enough water, on top of the 100 degree temperatures, with a little drinking. And then yesterday I woke up with a just a little sore throat, but it has made its way to being a huge sore throat, and a stuffed up nose and ears...grrrreat! Who's sick in the summer? THIS GIRL. I'm hoping to feel a little bit better in order to go to Stephen's best friend from high school's wedding. Stephen and I absolutely love these two, and are so excited to see them get married. I have hit the jackpot for you! I know we all cannot wait for football season at our school to begin, so have I found the most perfect accessory that you MUST add to your collection before game day! When I was featuring my favorite Etsy shops, I knew one that I HAD to mention. Think: ribbon and pearls. The Etsy shop is called Sew Knot Simple (how adorable is that?). 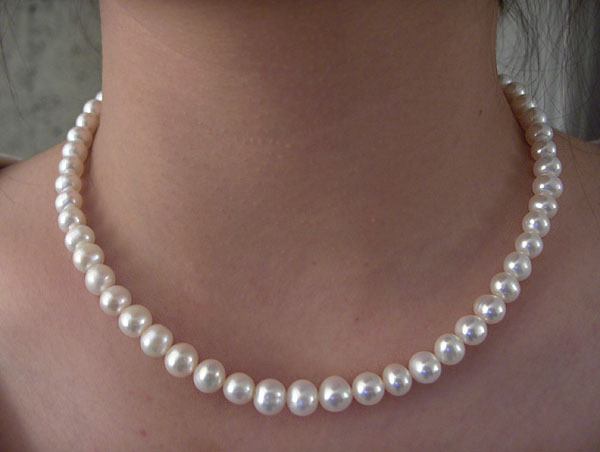 The designer, Hayley, has necklaces for the following schools: UNC, ECU, V Tech, Tenn, Fla, USC Gamecocks, USC Trojans, UVA, NC State, and she takes requests. Along with school colors, Hayley creates necklaces with just a solid color ribbon. These necklaces are adorable. Take a peak at this eye candy and then go SHOP! I am eying a few, but just cannot decide. Aren't they adorable? Best part, they are only $18! Yes, you read it right...$18! What a steal!! I'm totally in love with these. To find more options go to Sew Knot Simple! I can't wait to wear my necklace on game day! It is the best thing since sliced bread (not that I know a time pre-sliced bread). This site has everything, decor ideas, recipes, clothing obsessions and just plain gorgeous pictures. 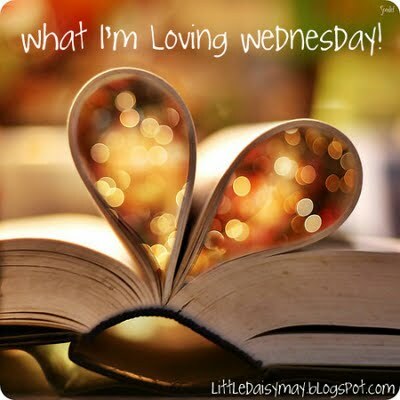 Click on the link on the bottom right column (below the blogs I follow) and join me too! My latest crush this summer has been on Mr. Navy! This summer I have really embraced the color, and I cannot wait to carry it into the fall. 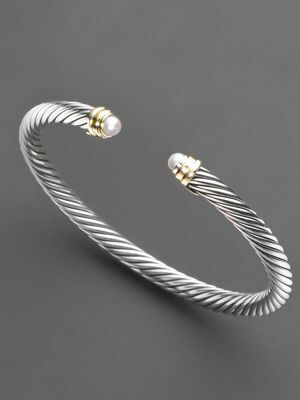 It goes with everything, it has a nautical feel to it, and it is classic. What color have you been loving lately? This week's outfit features tropical colors and prints. The Rory Beca silk tank has braided straps and is paired with an H&M skirt for a soft and feminine look. If you're weary of mixing bold colors and prints at the same time you can pair the tank with a white eyelet skirt. 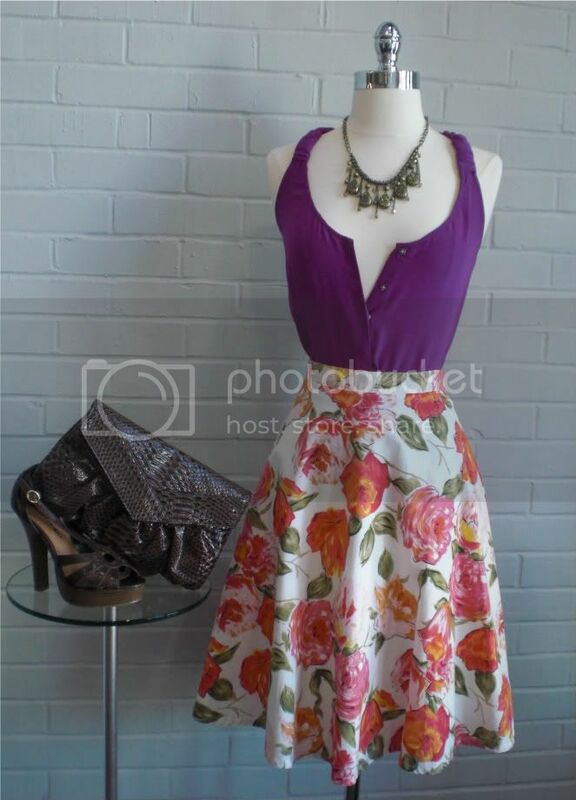 The floral skirt will look just as good with a white tee for Sunday brunch. A statement necklace and Steve Madden sandals completes this look. 1. I'm loving that I only have about 2 more weeks of summer school. I've only had one week of nothingness this summer cannot wait to have one more week of pure bliss before the school year starts. I still cannot believe that this is my last year, ahh! 2. I'm loving all the great deals I am finding. I shopped this weekend at J.Crew with a 40% off sale and then 15% for student discount (more stores should do this!!). Lands End Canvas is having a 50% off sale, Gap 30%, etc! 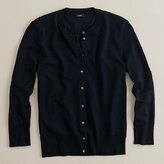 My latest J.Crew purchase...in navy. 3. I'm loving my sweet boyfriend. After a long day of school work, school, and work, I love hanging out with him at the end of the day, it is so relaxing. 4. I'm loving that The Help is coming out soon, well sorta (August 10th). I read the book in about 3 days, and absolutely LOVED it so I'm so excited to see the movie! 5. Rita's Italian Ice. If you have a location near you, RUN. I have never been much of a fan of Italian ice UNTIL I was introduced to Rita's. Stephen and I go weekly and split a Cotton Candy (delicious!) and sit outside at their tables in the warm summer air (so relaxing!). The exact aquamarine/diamond ring from Stephen! What would you add to this list? What is your favorite accessory? Have you heard about Etsy? If you haven't you better check it out NOW, because it is one of my favorite places to go when looking for a gift or treating myself. I have been a huge fan of Etsy for quite awhile and you'll never guess who introduced me to it...Stephen! When he first told me about it, I was like, "What's that?" Stephen was looking for a gift for his mom, and I instantly fell in love with it. I have bought several things myself off Etsy, and it is so easy, hassle free. I wanted to share with you a few of my favorite shops on Etsy. I love that each shop on Etsy is unique. Some of the items you find are homemade, and there is nothing to me like supporting someone who has handmade their product. These shops featured today are in no particular order, and if you see something you love go check them out! If you are looking for some great accessories in either gold or silver tones check out this shop! Here is just a preview of this shop's treasures. If you love monogrammed items as much as me then you will LOVE this shop! LimeTree Gifts has the cutest items at great prices. Here are just a few of what LTG has to offer...enjoy! If you are looking for a phone case, look no further! Here are some of the cutest phone covers I have ever seen and what's great is that YOU get to customize it. Find the design you love, pick the color [there are LOTS], the monogram, and the monogram color! This is just a sneak peek of what you can find within these shops! If you are interested in any item or would like to see more, click the link of the shop and it will take you right to it. So, I'd like to know...are you a fan of Etsy? What is your favorite shop? I was not compensated by featuring these shops. I posted about these shops for my interest only, but with prior approval from the shop owner.